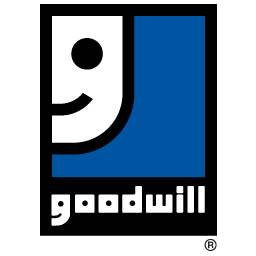 During 2005-2006, executive and managerial leaders of Goodwill Industries - Essex Kent Lambton made great strides in implementing the new river system in partnership with Goodwill Industries of Sarasota Florida. This system, adopted from Mission Development Services, has proven effective in growing donations and retail sales. The following guiding principles that form the foundation of our donated goods and retail program are derived from this river system and are the foundation of everything we do and strive to accomplish. We look and build upon these principles, as an organization and as individuals, to guide and empower our actions. The guiding principles for the Donated Goods Business revolve around Customer Service, Image, Donor Value and Profit. We are committed to a clean, neat, organized, and safe facility. The image of the facility reflect Goodwill, the manager/TLC, and the team. We are committed to a store with full and fresh inventory. Donors and shoppers should be greeted in 10 seconds. Every time we touch a donation, something good should happen to it. All donations should be processed within 24 hours. If you have a pile, you have a problem. Hard goods should be priority processed. Material handling equipment is for moving donations, not storage. Don't fall in love with your donations...rotation is critical to success.